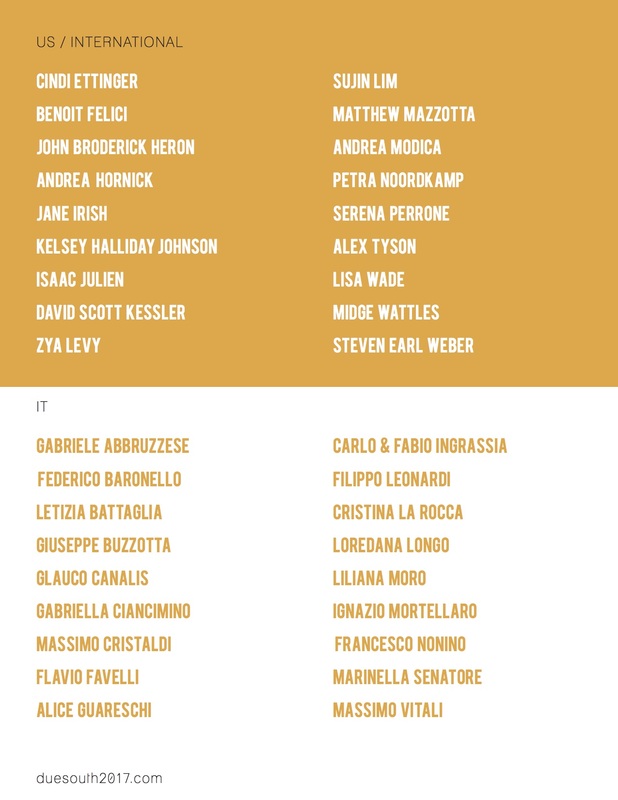 Thirty-eight international artists cross boundaries to reveal insider and outsider perspectives on Sicily, January 28-April 30, 2017 at The Delaware Contemporary. 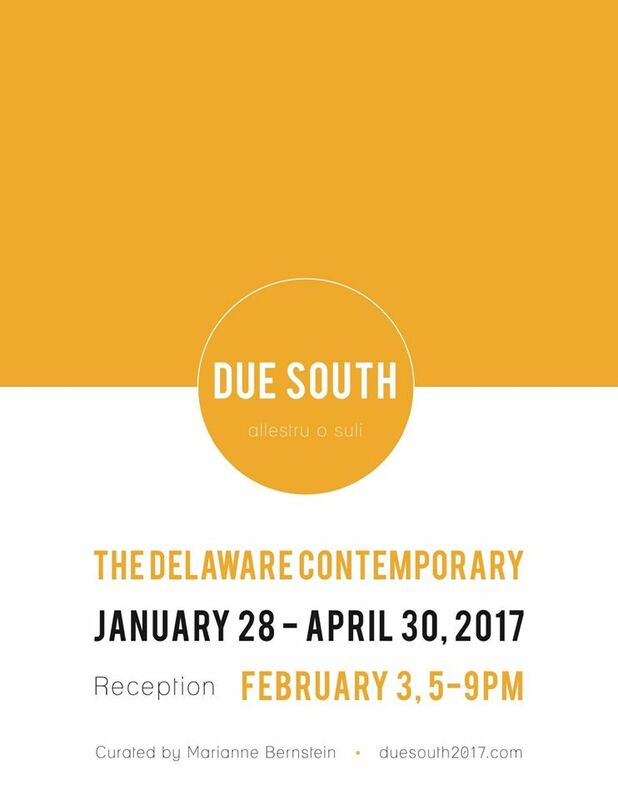 Due South is an international exhibition focused on Sicily, encouraging global dialogue in a moment of heightened isolationism. The second in a quartet of volcanic island-based investigations curated by Marianne Bernstein, Due South brings together works by thirty-eight artists who have traveled or lived in Sicily. The multi-year project has initiated new work, while embracing collaboration, observation, and process. The resulting exhibition explores this enigmatic landscape through personal/geologic histories and multicultural influences. In light of recent geopolitical and social upheavals, international dialogue is more pressing than ever before. By examining a place from both inside and out, the artists have created both intimate personal reflections and works suggesting that we all are foreigners somewhere. The recent refugee crisis has made many fearful of the mobility of foreign bodies, ideas, and cultures. Conversely, Due South seeks to explore the back and forth of both space and conversation: bringing artists across borders, and importing international perspectives back home.